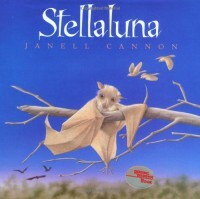 Stellaluna is the story of a baby bat who is separated from her mother. Stellaluna is then raised by Mother Bird. Mother Bird tries to make Stellaluna behave lke bird, telling Stellaluna that she is not allowed to hang upside and that she must eat bugs like Mother Bird's baby birds. Stellaluna does as she is told until she meets another bat one night, who tells Stellaluna that she is not bird, she is a bat. Another bat soon realizes that this is her daughter, Stellaluna. Stellaluna is reunited with her mother and they fly off into the night. Stellaluna's baby bird friends follow her but soon realize that they are unable to see in the dark. Stellaluna and the birds remark about how alike, but unalike they are, and agree to continue being friends despite their differences. This would be a great read aloud to pair with a science lesson on the characteristics of bats. Students could also be introduced to a nonfiction article on bats, and compare and contrast the two texts. This lesson combination would be great to do around Fall/Halloween. 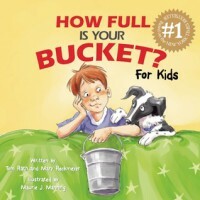 This is a great story illustrating the concept of "bucket filling" to children. The main character goes to school one day and is told about how his words and actions affect other people, by remembering how other people's words and actions affect him. When people give compliments or go out of their way to help, a person's bucket is filled a little bit more, and they feel better. When someone says or does something mean, it's like that person is taking water out of the bucket, making someone feel bad. This would be a great read aloud to be used at the beginning of the year to foster classroom community. Students could brainstorm ways that their bucket is filled. The teacher could create a classroom "bucket" that could be displayed for students to see, as a method of positive reinforcement. When the teacher observes someone being kind, or going out of their way to help, the teacher can add some "water" to the bucket. When the bucket is full, the class gets some type of reward. This is a great Dr. Seuss book about Sam who absolutely does not like green eggs and ham. The book goes on to describe how Sam would never eat green eggs and ham, no matter the circumstances. At the end of the story, Sam is convinced to try the green eggs and ham, and finds that he actually likes them. This book would be great for teaching students about rhyming words. The teacher could copy one of the pages and have students identify rhymes by highlighting the words. Older or more advanced students could write their own rhyming poems about a food that they do not like. 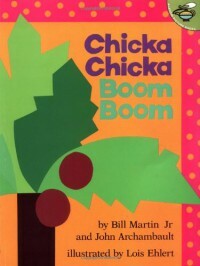 Chicka Chicka Boom Boom is the fun story of all the letters that climb up the coconut tree. As each letter climbs up the tree, there is less and less room. Eventually all the letters come tumbling out of the tree. This book would be great to use with Kindergarteners that are working on their letters. The teacher could begin by reading through the story once. Then the teach could post a coconut tree on the board and give each student an uppercase and a lowercase letter. As the teacher reads the book again, the student with the lowercase letter that is read must put the letter up on the coconut tree. As the letters fall down, the student that has the uppercase letter that is read must come get the lowercase letter that matches from the coconut tree. This is the first book in the Magic Treehouse series, that follows Jack and Annie as they discover a magic treehouse that will take them to places in different books. In this story, Jack and Annie find themselves in prehistoric days walking among the dinosaurs. Jack and Annie encounter many different creatures before they meet a T-Rex and decide that it's time to go home. This book is filled with dinosaur vocabulary and would be great to use in a science integrated lesson about dinosaurs. Students could pick one of the dinosaurs mentioned and read a teacher picked article on that dinosaur. The students could then present the information that they learned to the class. 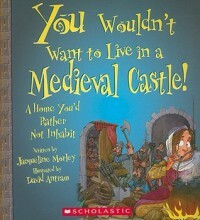 This book comes from a great series called "You Wouldn't Want To..." showing students the rough side of living in different historical periods. This book tells of what it would have been like to like in a medieval castle. This book, as well as the other books in the series does not leave out the gross factor when telling about what it was like in the medieval days. This series is definitely for older students, but is filled with interesting facts about daily life that are sure to engage students. 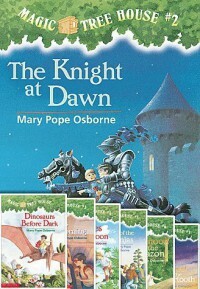 Given the information found in this book, students could create their own character, and write a fictional piece about what happens to their character in the medieval castle. Teachers could require that students cite where they found evidence in the book for some of the things that happen to their characters. This is the story of Max, who gets sent to his room without supper. In his room, trees start to grow, and he sails off to the place where the wild things are. Max becomes king of the wild things, where he and the wild things play all night. Eventually Max decides he wants to go home. 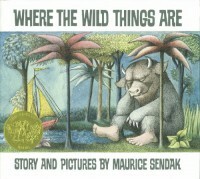 Max leaves the wild things and returns back to his room where he can smell supper cooking. 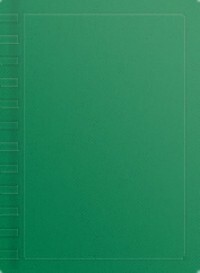 This is another book that would be a great start for creative writing. Students could write about what they would do if they were king or queen of the wild things. Students could accompany their writing with a drawing of their own forest filled with wild things. 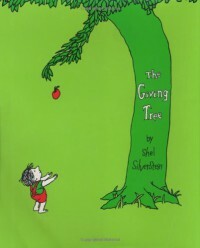 The Giving Tree is a story of an apple tree who loved a little boy. Over the course of the boy's life, the tree gives and gives to the boy. The fact that the boy is happy, makes the tree happy, but as the tree gives, she loses a part of herself. At the end of the story, the tree has is reduced to a stump. At this point, the boy has become an old man who is just seeking a quiet place to rest. The tree happily gives to the boy again, and lets him rest on her stump. Students could could use this story to create their own giving tree out of construction paper. On each leaf, the students could write a way that they can be nice to other people. This book is part of the "Dear America" series. Voyage on the Great Titanic is the fictional diary of a young girl who is traveling on the maiden voyage of the Titanic. THe book explores the different classes that traveled on the boat, as well as the famous disaster of the maiden voyage of the Titanic. The book is written from the point of view of a girl who would be not much different in age of the reader. After reading this book, the teacher could have the students read an article about the sinking of the Titanic from that time period. The teacher could then have the students compare and contrast the fiction and nonfiction accounts of the event. 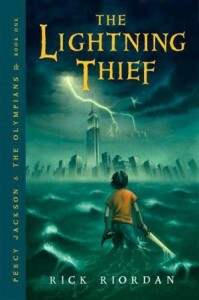 This book introduces mythology in a fun, modern way through the main character Percy Jackson, son of Poseidon. Percy goes on an adventure with his friends Annabeth and Grover to try to find Zeus' stolen lightning bolt. Throughout their journey, the friends encounter many figures from Greek mythology, who still maintain their fundamental traits, but have a modern spin. This would be a great book to use to introduce students to mythology in a fun way. After finishing the book, students could pick one of the Greek mythology figures that Percy encountered in the book, and do a research project on the story of that figure. The teacher would need to have prescreened resources for the students, as some of the mythology stories could be inappropriate for students. 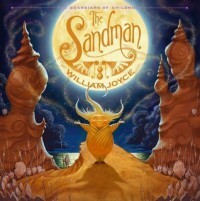 This is the story of how the Sandman came to be. The man in the moon tasked the sandman with giving children good dreams. This story follows the Sandman has he carries out this task and encounters the nightmare king. The Sandman fights back after some new friends help him get better after his battle with the nightmare king. Sandy comes out victorious, and continues to give children good dreams to this day. This book would be a great tool to introduce the basic elements of plot. Students could organize the plot based on the plot elements. Students could also do a writing activity about dreams. This is the heartwarming story of a girl who is scared to go to school on her first day. She hides in her bed, and shows in other ways that she is nervous about what's to come. At the end of the book, the reader realizes that girl is not a student, but is actually the teacher. This book could help create classroom community on the first day of school. Students would either write or share their own feelings about the first day of school, after they have been shown that it's ok to be nervous about something new. This is the story of Alexander, and what feels like the worst day of his life. 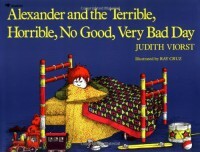 Bad things just keeping happening to Alexander, and the reader can't help but feel sorry for his bad luck. 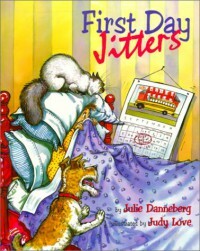 At the end of the story, Alexander's mom tells him that some days are just bad days, and that everyone has them. This would be a great book to do a writing activity with students. 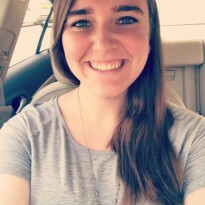 Students could write about their "terrible, horrible, no good, very bad" day or the teacher could make it a creative writing assignment, and the students could write about what they think the worst day ever would look like. This is the story of the chain of events that happen after you give a mouse a cookie. 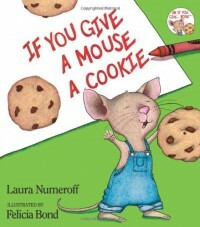 After the boy gives his mouse a cookie, the mouse just wants more and more things, and at the end of the story, we see that this is just a cycle, because "if you give him a glass of milk, he's just going to want a cookie to go with it." This book would be great to introduce cause and effect to students. The students could do an activity that involves them sequencing the story's events by matching the effect to the cause. 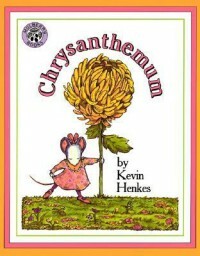 This book tells the story of a little mouse named Chrysanthemum. Chrysanthemum loves her name, but as soon as she starts attending school, she realizes that not everyone loves her name as much as she does. Chrysanthemum gets picked on because her name is so long, and each day she feels worse and worse about her name until she starts to dislike it herself. One day in music class, the music teacher overhears the girls picking on Chrysanthemum. The teacher interjects that she loves the name, as she is also named after a flower. When the girls see the teacher accept Chrysanthemum, they stop picking on her, and instead give themselves their own flower names. This would be another good book to read to foster classroom community. The teacher can make it known that our differences make us unique, and that that is something to celebrate. This book could be a good math integration for younger students. Students can count the letters and in their name, and use that number to do other math problems. This is a fictional collection of poems from students who attend a school that is scheduled to be demolished at the end of the school year. Each student has a different opinion on whether or not the school should be demolished. The plot of the book is built in each poem as some of the students form new relationships, and others try to come up with a plan to save the school. This book would be great to use during a poetry unit with older students. Students could write their own poems about their feelings about their own school, or how they would feel about their school being demolished. As this book includes many different kinds of poetry, students could be allowed to chose what kind of poetry they want to write.